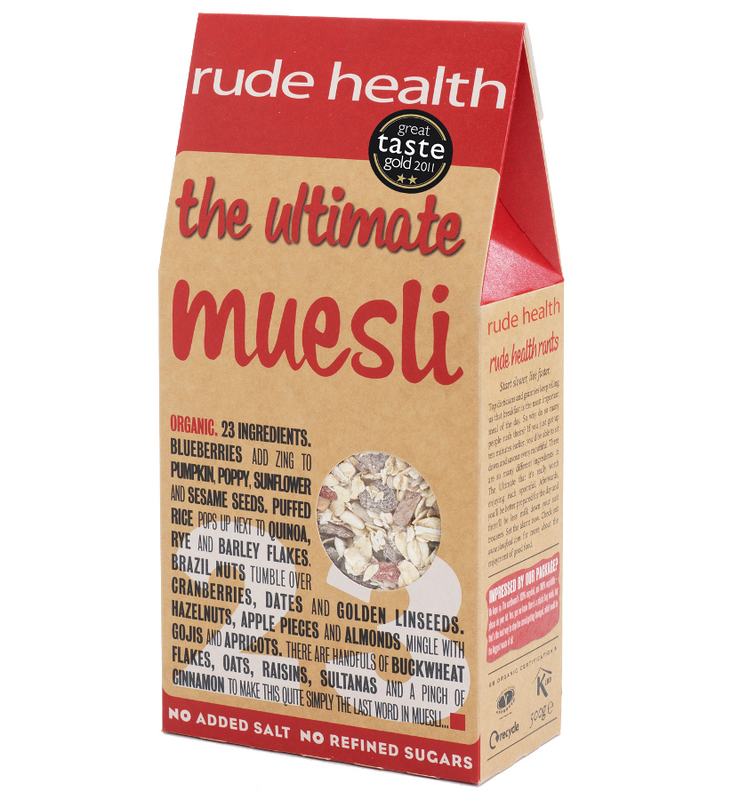 Brace yourself: The Ultimate Muesli from Rude Health Organic Foods is so good that it may well blow your socks off. With 23 different ingredients, every spoonful is a tasty mix up of different flavours that will give you a nutritious burst to start the day, as well as a blast to your taste buds. The Ultimate Muesli combines almonds with apricots, berries with nuts and seeds, linseeds to add crunch to gojis, then quinoa, oats, rye and barley flakes to stave off the hunger pangs. A twist of cinnamon adds an extra-delicious touch, and then this Ultimate Muesli is ready to hit your bowl. The Rude Health Ultimate Organic Muesli 500g product ethics are indicated below. To learn more about these product ethics and to see related products, follow the links below. 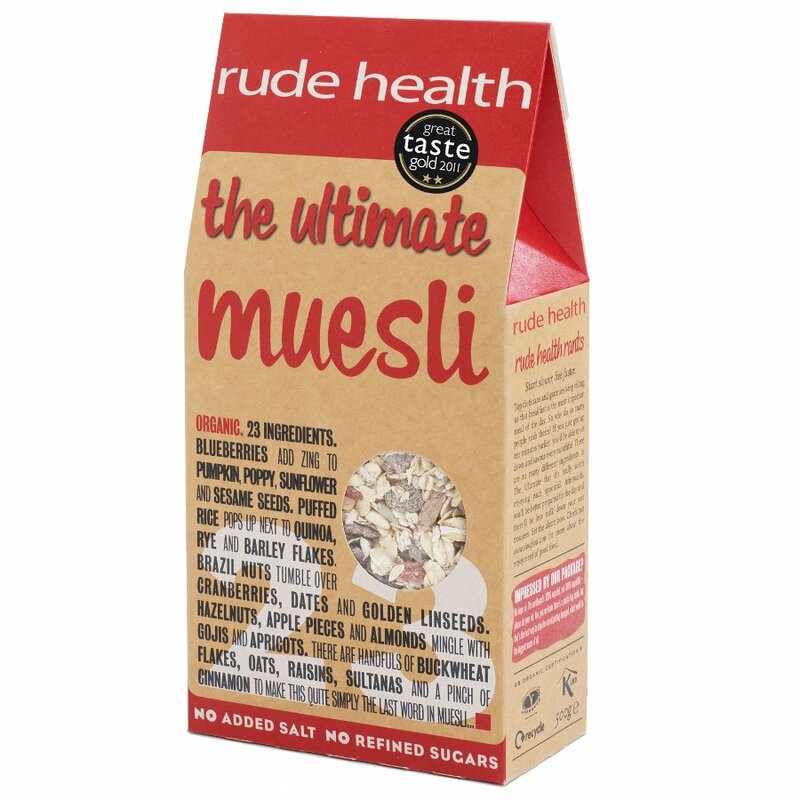 There are currently no questions to display about Rude Health Ultimate Organic Muesli 500g.